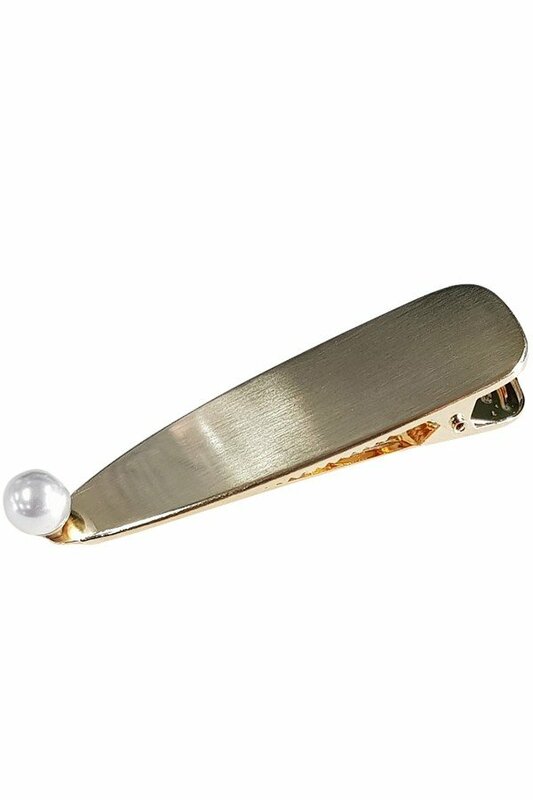 Description: Pearl accent hair clip with a brushed finish. Approx. 3".